John Hardie was born in Sydney on 2 July 1833, son of Scottish immigrants Robert and Jane Hardie. He married in 1855, although his wife and children have not been identified, and died in Sydney in 1904. The family were Presbyterian. Robert Hardie arrived in Sydneywith his family in 1832 and set up as a baker in George Street. His son John, orphaned at an early age, learnt the same trade from George Hamilton and established his own bakery in 1855. By 1867, John Hardie and John Mitchell, millers and bakers, were established at 516–18 George Street. About 1869 Hardie took over George Wilkie’s flour mills. Hardie retired in 1884. He lived inDarlinghurst Road with a country residence and stock farm called Clydesdale at Marsden Park,New South Wales. 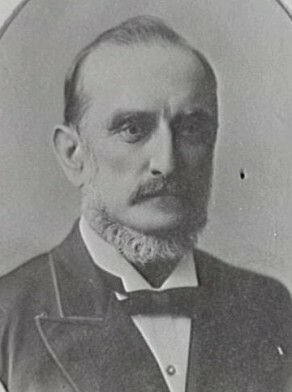 John Hardie was Alderman for Brisbane Ward from 1 December 1879 to 30 November 1894 when illness forced him to resign. Hardie served as Mayor in 1884.